My Schedule is the default view when employees go the ShiftPlanning tab. Employees are shown their schedule. 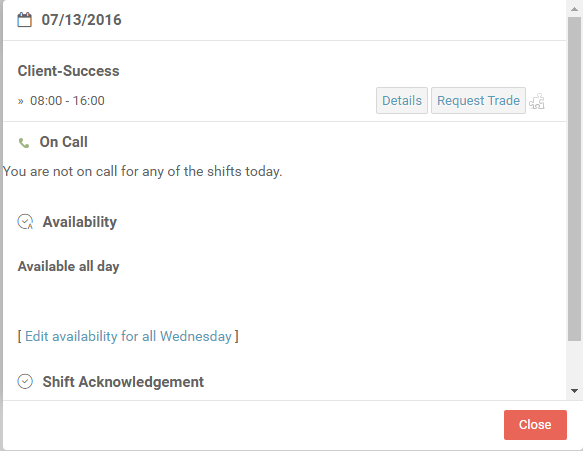 Employees can click on their shifts to view more details of the shift along with options to Trade Shift, Submit Work Unit, set-up the availability and Acknowledge shift.